GREAT FLOORPLAN IN IMMACULATE CONDITION! This one of a kind property conjures up images of sun-splashed days of swimming, biking, and relaxing. 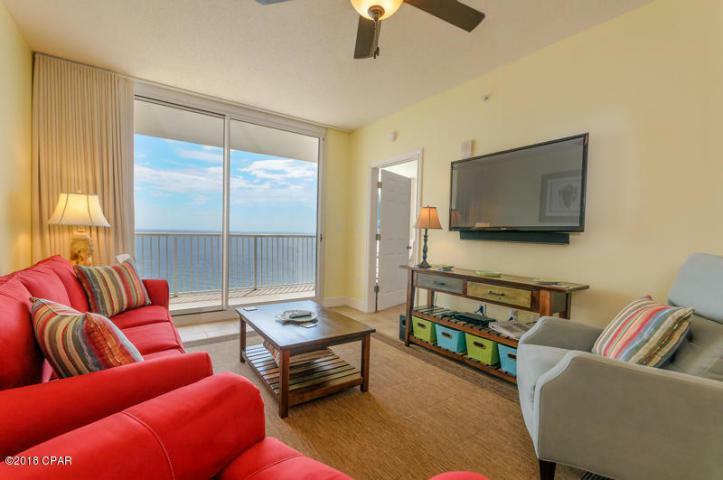 It lives like a beach house but comes with all the benefits of owning a condo. This property has been meticulously maintained: New HVAC in 2017, new hot water heater 2017! Hard surface flooring in living area and bathrooms and conveys with luxurious furnishings (new 2016), window treatments, and artwork that welcome you to lie back, relax, and enjoy panoramic views of the pool, beach and ocean. Condo has 9'. Open floorplan and 9' ceilings allow for fabulous Gulf and sunset views from balcony, living room, dining room, kitchen, & master suite providing the ultimate alfresco living and entertaining environment!